Our organization thrives on passion, experience, and a willingness to impact people’s well-being. We’re always interested in receiving resumes from active and educated people. We hire those who have the ability to develop and innovate on the standards of the fitness industry, helping to secure and improve the reputation for excellence for which MINT is always striving. MINT is an equal opportunity employer, offering all applicants the same opportunity to join our team. We’re looking for great communication skills and people who can make a difference on our team. 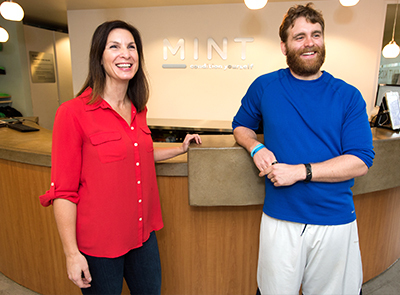 Professional, hard-working personal trainers and class instructors always have business waiting for them at MINT. We welcome those with outgoing personalities to apply for front desk ‘concierge’ and membership sales positions.